There is nothing that captures the essence of a season quite like ripe fruit. Sweet berries in the spring, juicy stone-fruit in the summer, crisp apples in the fall, and tangy citrus in the winter. We always have an overflowing bowl of seasonal fruit sitting on our kitchen table, lest we waste one single moment of the limited-time-only bounty. This is a bit of a new revelation for us, though. When we were living in New York City, doing the bulk of our shopping at the Union Square Farmers Market, we never bought much citrus – as you know it doesn't exactly thrive in the Hudson Valley or Northern Pennsylvania. 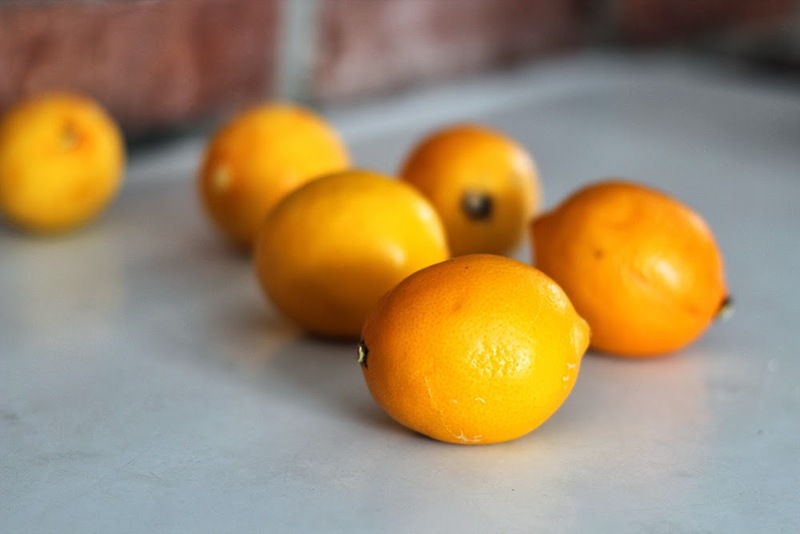 But now, with Jake working at the Berkshire Co-op, we have fully embraced winter citrus, and all of the refreshing flavors and vibrant colors that come with it. Just because it's not in season here in the Berkshires doesn't mean it's not in season, and grown organically, somewhere else! 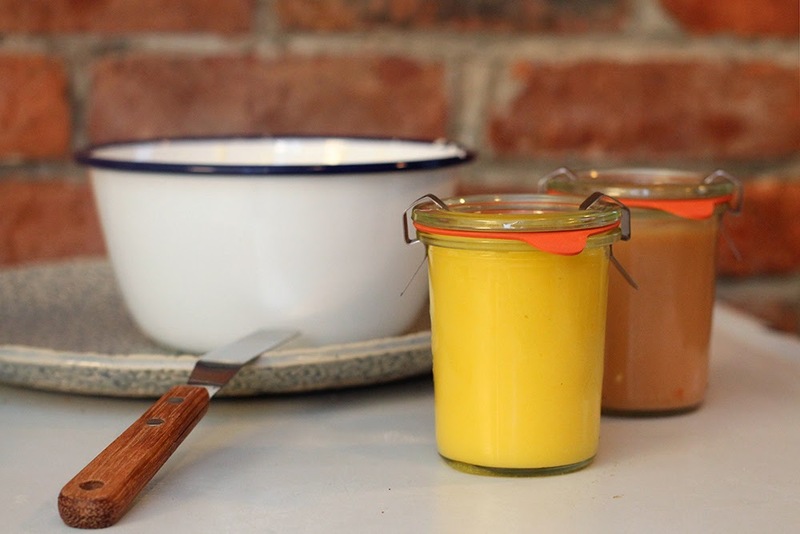 Along with our new love affair with winter citrus, we've taking up a healthy obsessed with making citrus curds. After much experimentation, and with a rainbow of curds sitting in our fridge, we realized we had to do something to show them, and our hard work, off. 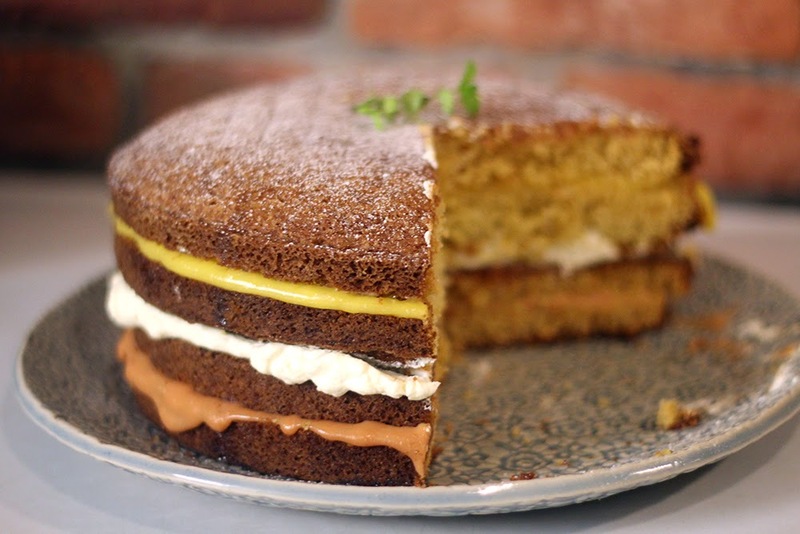 So off we went to make a open-sided, citrus curd layer cake. Using Smitten Kitchen's 1-2-3-4 Cake as a base, we stacked up stripes of Meyer Lemon and Blood Orange curds, and whipped cream. Finished off with a Pomello-Lime glaze and a sprig of mint, we created a show-stopper of a cake. If we do say so ourselves. 1. 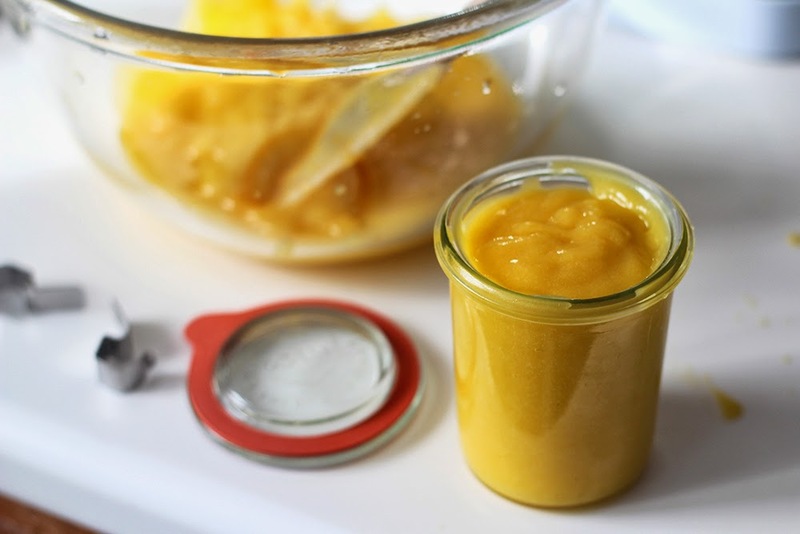 Finely grate 2 teaspoons of zest and squeeze ½ cup of your chosen citrus juice. 2. Melt the butter, and let cool. 3. 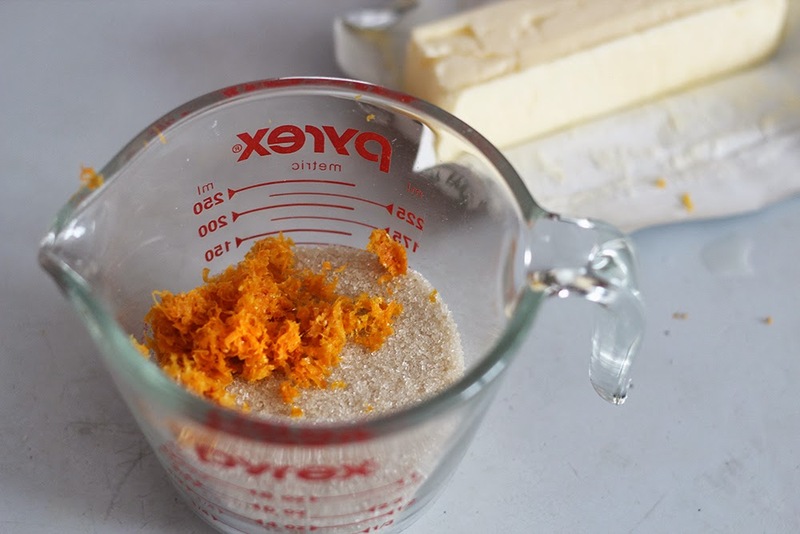 Whisk together zest, juice, sugar, butter, and eggs in a metal bowl and set bowl over a saucepan of simmering water. Cook, whisking constantly, until thickened and smooth. 4. Force curd through a fine sieve into another bowl. Cool, covered, in the refrigerator. 2. Using an electric mixer, cream butter until fluffy. 3. Add sugar and continue to cream well for 6 to 8 minutes. 4. 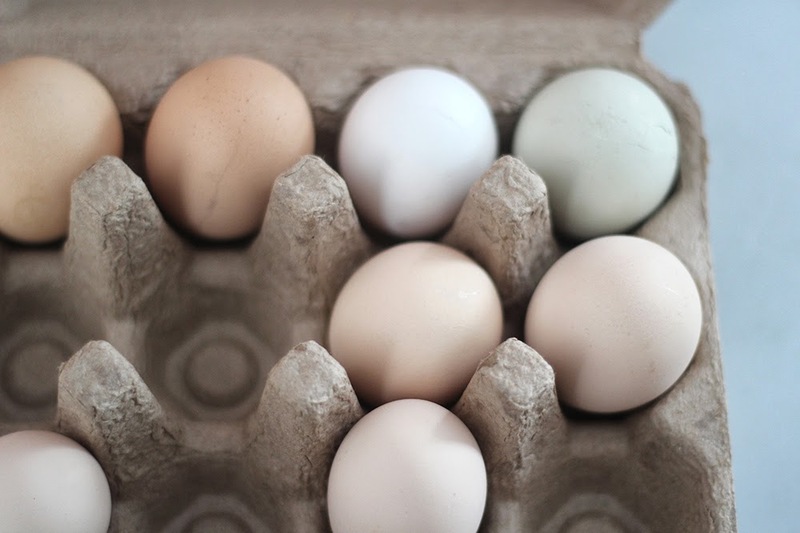 Add eggs 1 at a time, beating well after each addition. 5. 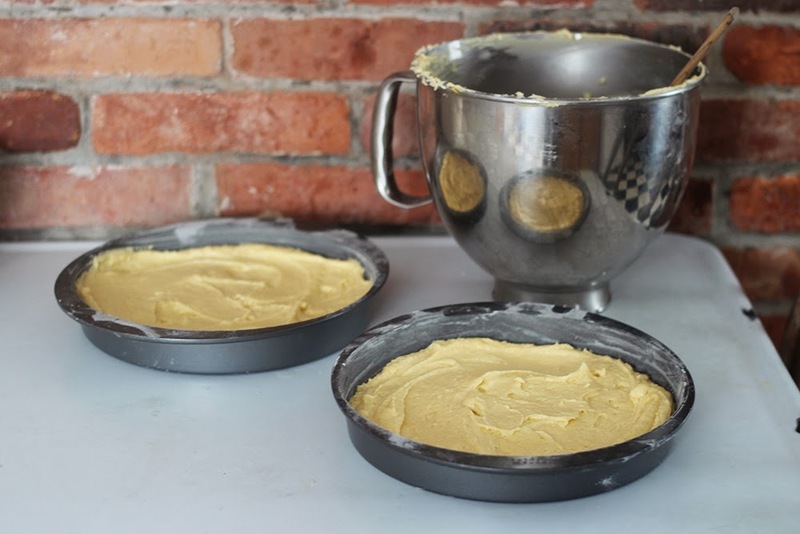 Add flour and milk alternately to creamed mixture, beginning and ending with flour. 6. Add vanilla and continue to beat until just mixed. 7. Divide batter equally between two 10-inch greased round pans. Level batter in each pan by holding pan 3 or 4-inches above counter, then dropping flat onto counter. Do this several times to release air bubbles and to get a more level top. 8. Bake for 25 to 30 minutes or until a tester or toothpick inserted into the center comes out clean. 1. Allow all elements to cool to room temperature. Cut both cakes in half horizontally with a long knife. A bread knife works well here! 2. Here's where it gets fun! 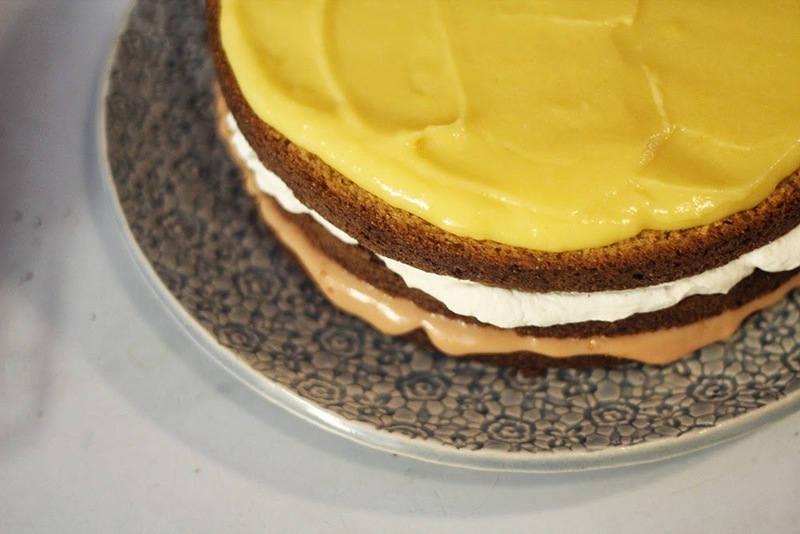 Over a cooling rack, or right on top of a serving plate, place the first layer of cake. Cover generously with a layer of curd, then place another cake on top. Cover with whipped cream, another cake, the remaining curd, then the last cake. Pour the glaze over top and allow to drip over the edges. Top with a few mint sprigs and you're done! I suspect that when you construct the cake you want to cut them horizontally, not vertically!